The Global Volcanism Program has no activity reports for Coronado. The Global Volcanism Program has no Weekly Reports available for Coronado. The Global Volcanism Program has no Bulletin Reports available for Coronado. The Global Volcanism Program has no synonyms or subfeatures listed for Coronado. Volcán Coronado is a small stratovolcano at the northern tip of Coronado Island, 3 km off the eastern coast of Baja California in the Canal de los Ballenas. The roughly 440-m-high volcano forms a 2-km-wide peninsula at the northern end of the elongated NNW-SSE-trending island and contains a 300 x 160 m wide crater. The age of the most recent eruptive activity from Volcán Coronado is not known, although fumarolic activity was reported in September 1539 (Medina et al., 1989). The Global Volcanism Program is not aware of any Holocene eruptions from Coronado. If this volcano has had large eruptions (VEI >= 4) prior to 10,000 years ago, information might be found on the Coronado page in the LaMEVE (Large Magnitude Explosive Volcanic Eruptions) database, a part of the Volcano Global Risk Identification and Analysis Project (VOGRIPA). There is no Deformation History data available for Coronado. There is no Emissions History data available for Coronado. 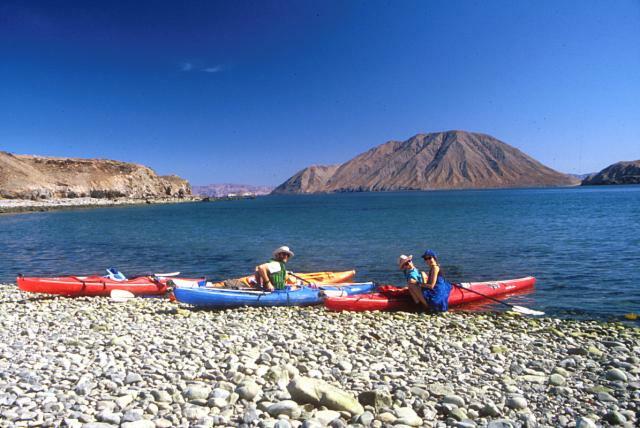 Volcán Coronado (right horizon), a small stratovolcano at the northern tip of Coronado Island, rises behind a group of kayakers across the Canal de los Ballenas (Channel of the Whales). The roughly 440-m-high volcano forms a 2-km-wide peninsula and contains a 300 x 160 m wide crater. The elongated NNW-SSE-trending island lies 3 km off the eastern coast of Baja California. Photo by Brian Hausback, 1994 (California State University, Sacramento). 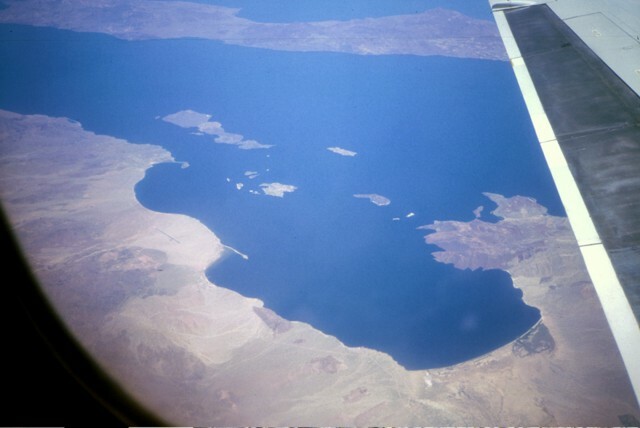 An aerial view from the SW overlooks the Bay of Los Angeles in the foreground in the east-central part of Baja California. Isla Coronado is the irregular elongated island at the upper left center with four distinct segments; Volcán Coronado forms the largest peninsula at the northern tip of the island. Elongated Angel de la Guarda Island across the Canal de los Ballenas stretches across the top of the photo. Photo by Brian Hausback, 1996 (California State University, Sacramento). There are no samples for Coronado in the Smithsonian's NMNH Department of Mineral Sciences Rock and Ore collection. IRIS seismic stations/networks Incorporated Research Institutions for Seismology (IRIS) Data Services map showing the location of seismic stations from all available networks (permanent or temporary) within a radius of 0.18° (about 20 km at mid-latitudes) from the given location of Coronado. Users can customize a variety of filters and options in the left panel. Note that if there are no stations are known the map will default to show the entire world with a "No data matched request" error notice. Large Eruptions of Coronado Information about large Quaternary eruptions (VEI >= 4) is cataloged in the Large Magnitude Explosive Volcanic Eruptions (LaMEVE) database of the Volcano Global Risk Identification and Analysis Project (VOGRIPA).